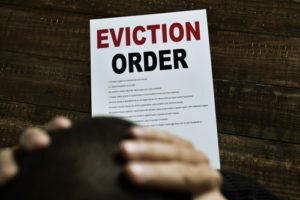 As a Rochester Landlord Tenant Lawyer, I am often asked how to evict a tenant for nonpayment of rent. The first step is to serve a notice on the tenant to pay rent or get out. After that the city or town court papers are served on the tenant for nonpayment of rent. You need to check your lease to see what the time requirements for the nonpayment notice. If there are no time requirements, it is a three-day notice that must be properly served on the tenant. Is your tenant not paying his or her rent? If so, contact the experienced Rochester Landlord Tenant Lawyer Robert Friedman. This educational post was brought to you by Robert Friedman, an experienced Rochester Landlord Tenant Attorney.